(Newser) – It seemed like such an innocent request. 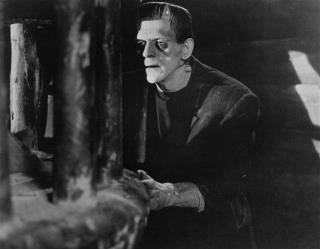 In her 1818 novel Frankenstein, Mary Shelley has the monster ask Dr. Frankenstein for a mate, and the creature promises that he and his female counterpart would then go live in some remote corner of South America and never bother humans. The doctor initially agrees, then changes his mind. Good thing: As two scientists point out in a perfect-for-Halloween study in BioScience, if Dr. Frankenstein had allowed his creature to do so, it would have doomed mankind under a principle of biology known as competitive exclusion, reports Nature World News. They're especially impressed because Shelley seemed to have a handle on this more than a century before it was formally defined. How would the "scientists" know if the pair had the capability of procreation? The book is great but the predictions are not really predictions at all. One of my dentists was related to the man who served as the model for Shelly's story. The dentist mentioned that while giving me a root canal. Great timing, eh?